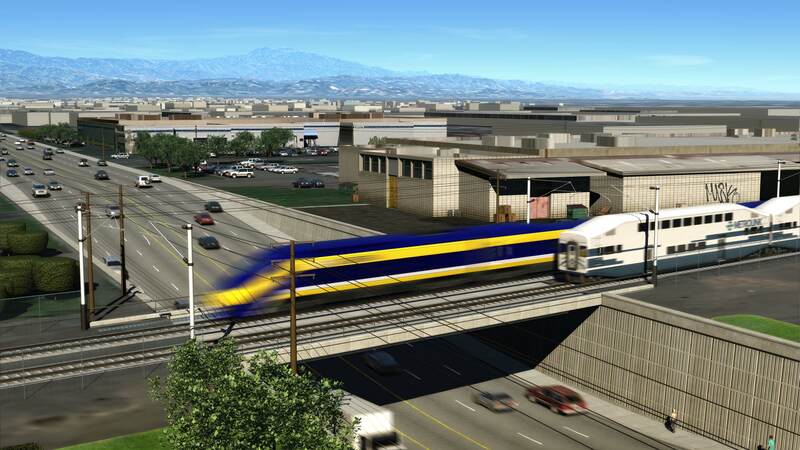 The California High Speed Rail Authority secured a big legal victory in the state court of appeals yesterday, which overturned twin decisions by a trial court judge that threatened to derail (no pun intended) the entire program. Coupled with another appellate court win a week ago upholding the program-level environmental review on the Pacheco Pass alignment to the Bay Area, along with approved cap-and-trade funding for the system, the High Speed Rail Authority is on a roll this year (see James Fallows’ positive take in the Atlantic last month, which featured a nice shout-out to UCLA/UC Berkeley Law’s 2013 report on high speed rail and the San Joaquin Valley). However, while the victories allow the project to proceed and maybe even finally achieve that oft-delayed groundbreaking later this year, they don’t mean the end of legal challenges. First, the good news for high speed rail supporters. The Appellate Court overturned two decisions by the trial court judge, Michael Kenny (I blogged about them back in November). In the first part of his November decision, Kenney had ruled that the state committee that approved the disbursement of bond money for the project acted without sufficient evidence to justify the disbursal. This decision (to me) represented judicial micro-management of what should really be a simple approval. The appellate judges apparently felt the same, unanimously concluding that “the highly unusual scrutiny” by the trial court in this instance should be overturned. Otherwise, it could set a precedent that “jeopardizes the financing of public infrastructure throughout the state.” In my view, this was the easier of the two calls. Kenny’s second decision against high speed rail related to the draft business plan that the High Speed Rail Authority submitted to the legislature before that body approved the sale of the bond funds in 2012. The business plan was pretty plainly inconsistent with the ballot initiative language that voters approved in 2008 to authorize the bond issue. Kenny wanted the Authority to redo the business plan, as well as its environmental review under the California Environmental Quality Act (CEQA). However, the appellate court overturned this decision, too, concluding that since the legislature approved the bond sale based on this draft plan, it effectively deemed the plan sufficient, even if it really wasn’t. Regardless of the adequacy of the business plan, the court did not want to second guess the legislature and risk raising separation of powers issues among the branches of government. Ultimately, the court described the flawed business plan as really just an intermediate, advisory plan for the benefit of the legislature in making the decision to authorize bond sales. The final funding plan that will come out in a few years is where the real judicial scrutiny will come, according to the court. But of course in a few years, with billions of dollars spent on a line under construction, the courts are unlikely to get in the way of the project going forward. So this appeal was effectively the last hurrah for high speed rail opponents to stop the system entirely. We can still expect much more litigation going forward, particularly on relatively small-scale route selection issues and mitigation measures. The Pacheco Pass decision represented a partial loss in this respect: the court in that case rejected the Authority’s contention that CEQA is preempted by federal law, keeping the door open for literally hundreds of CEQA lawsuits from every group with an axe to grind or a property affected in the coming years. But the big show is now over, and high speed rail can get on with being built. Of course the Authority only has enough money to begin its initial section in the Central Valley and maybe over to the Antelope Valley. So finding an ongoing funding source will remain a hurdle. Lawsuits over route selection could complicate matters by driving up costs through expensive mitigation measures or route changes. Meanwhile, trial courts will scrutinize environmental review and the final funding plan, once it comes out. Ultimately, the Authority will continue to have its back against the wall trying to comply with the highly detailed and prescriptive 2008 ballot language, which makes the political and financial wheeling-and-dealing necessary on big infrastructure projects difficult (as intended). But if courts like this one are going to be sympathetic to those political and financial pressures, then the Authority — and California travelers — may have a smooth ride ahead, at least as far as judicial oversight goes. From an environmental standpoint, it would be far more beneficial to the unfortunate citizens of California to not waste their limited public resources on high speed rail. But instead spend this money on desalinization projects that produce potable water. High speed rail can wait until demand is sufficient to attract private financing. Today our most pressing environmental need in drought-stricken California is water, not rail.